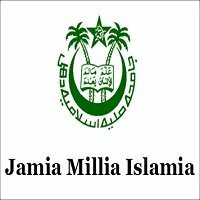 JMI Jobs Recruitment Notification 2018.Jamia Millia Islamia -Central University located in Delhi inviting applications for the positions of master baker, Pet Bottle Technician, Beautician Trainer, Tailoring Trainer, POS Operator, Packaging Machines Operator etc.Interested and Eligible candidates can apply for the positions. Number of vacancies to be filled in JMI Delhi is 13. Post wise vacancy details are given below. Candidates those who have passed bachelor’s degree and having 1-5 years of experience can apply for POS Operator post. For remaining other posts the qualification for applicants is matriculation/ 10+2 from recognized board. On 24th September 2018 along with all essential documents may appear for the walk-in interview of JMI Delhi Recruitment. Jamia Millia Islamia, Maulana Mohammad Ali Jauhar Marg, New delhi- 110025.